U.S. Sen. Mark Warner (D-VA), Vice Chairman of the Senate Select Committee on Intelligence and a member of the Senate Banking Committee, issued a statement after the U.S. Department of the Treasury imposed sanctions on five Russian entities and 19 individuals for interference in the 2016 election. 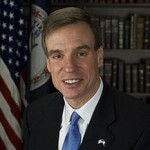 U.S. Sen. Mark Warner (D-VA), Vice Chairman of the Senate Select Committee on Intelligence, issued the following statement in response to the Federal Election Commission (FEC)’s announcement that commissioners have approved a Draft Notice of Proposed Rulemaking on two proposals dealing with disclosure rules for online political advertisements. U.S. Sen. Mark Warner (D-VA), Vice Chairman of the Senate Select Committee on Intelligence, today urged the Trump Administration to prioritize reforms to the security clearance process. Senator Mark Warner will host his annual Virginia Service Academy Day on Saturday, March 24th, from 10 a.m. to 1 p.m. at the Paramount Theatre in Charlottesville. U.S. Sen. Mark Warner (D-VA) joined a group of Democratic Senators in a letter to Department of Homeland Security (DHS) Secretary Kirstjen Nielsen urging DHS to expedite the processing of Deferred Action for Childhood Arrivals (DACA) renewal applications. The Senate voted 67-32 in favor of starting debate on S. 2155, the Economic Growth, Regulatory Relief and Consumer Protection Act, bipartisan legislation to grow the economy and protect consumers that was negotiated in part by Sen. Mark R. Warner (D-VA). 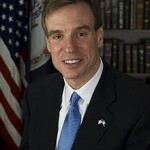 U.S. Sen. Mark Warner (D-VA) sponsored a set of bipartisan bills to help curb gun violence, including the Fix NICS Act, legislation which would ensure federal and state authorities comply with existing law and accurately report relevant criminal history records to the National Instant Criminal Background Check System (NICS). U.S. Sen. Mark R. Warner (D-VA), a member of the Senate Banking Committee, questioned Federal Reserve Board Chairman Jay Powell about the impact of S. 2155, the Economic Growth, Regulatory Relief, and Consumer Protection Act. In celebration of the achievements and contributions that African-Americans have made as part of Black History Month, U.S. Sen. Mark R. Warner cosponsored a bipartisan resolution to honor the “Buffalo Soldiers,” African-American soldiers who served in the United States Army following the Civil War. 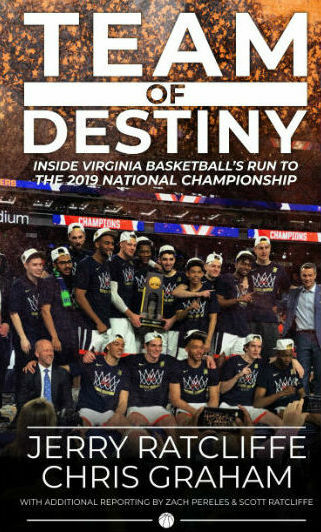 U.S. Sen. Mark R. Warner (D-VA), Vice Chairman of the Senate Intelligence Committee, joined a group of 18 U.S. Senators in a letter to President Trump expressing concern about the many vacant senior positions and extensive attrition at the State Department. U.S. Sen. Mark R. Warner (D-VA), Vice Chairman of the Senate Select Committee on Intelligence, issued the following statement today after the Special Counsel announced the indictment of 13 Russian nationals and three Russian companies for criminally interfering with the 2016 U.S. presidential election. U.S. Sen. Mark R. Warner (D-VA), a member of the Senate Chicken Caucus, joined a bipartisan group of Senators to introduce the Fair Agricultural Reporting Method (FARM) Act. U.S. Sen. Mark R. Warner (D-VA) met with Tim Thomas, President Trump’s nominee to be the Federal Co-Chair of the Appalachian Regional Commission. U.S. Sen. Mark R. Warner (D-VA) issued the following statement on the bipartisan budget agreement passed by Congress and signed by the President. U.S. Sens. Mark R. Warner (D-VA) and Elizabeth Warren (D-MA) introduced today the Data Breach Prevention and Compensation Act to hold large credit reporting agencies (CRAs)—including Equifax—accountable for data breaches involving consumer data. U.S. Sen. Mark R. Warner (D-VA), a member of the Senate Banking Committee, comments following the committee’s bipartisan 10-13 vote against former Rep. Scott Garrett’s nomination to lead the U.S. Export-Import Bank, followed by broad bipartisan support for other Ex-Im Bank board nominees. U.S. Sens. Mark R. Warner (D-VA) and Tim Scott (R-SC) introduced the Protecting Access to Diabetes Supplies Act of 2017. Sens. Mark Warner and Rob Portman introduced the bipartisan Commonsense Reporting Act of 2017. U.S. Sen. Mark R. Warner (D-VA) released the following statement today on Senate Republican efforts to repeal the Affordable Care Act.